We welcome all who want to learn more about Jesus Christ as their Lord and Saviour in a Biblical based setting. We worship twice a Sunday and hear two in-depth Bible-based sermons to get to know our God more fully. We believe in the inerrancy of Scripture – that there are no errors in the Word of God. God has promised to preserve His Word through the ages, and it is still very relevant today. Our beliefs are summarized in the Ecumenical Creeds and by the Three Forms of Unity. These confessions are widely accepted as official statements of doctrine by Reformed churches. 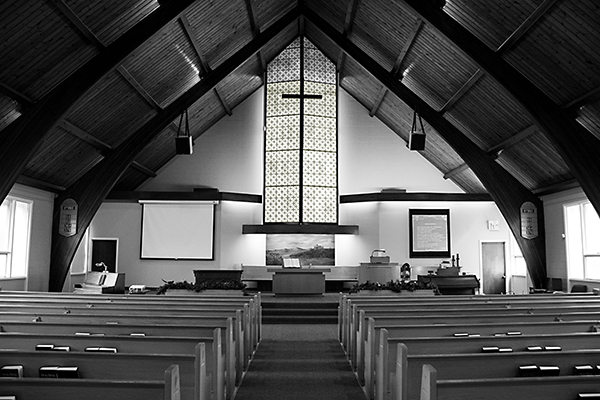 We are a member of the United Reformed Churches of North America. We follow the Church Order of the URCNA. In October 31, 1517, Martin Luther posted 95 theses (statements) against the teaching of the Roman Catholic Church. This started the Reformation. “Reform” simply means a change of beliefs to follow the teaching of the Bible. That all glory belongs to God alone, not man (Romans 11:36). That scripture alone has the final authority to determine our beliefs (2 Timothy 3:16). That we are saved by Christ alone (John 14:6). That we are saved by faith alone, not by our works (Eph 2:8). That we are saved by grace alone (Eph 2:5). In a clearly defined doctrine of salvation according to God’s sovereignty. We believe that God is sovereign (in control) in all things, including saving His people (Jonah 2:9). In total depravity (or total inability). Everyone is born in sin, and no one can or will come to God by themselves (Romans 3:10-11,23, John 6:65). In unconditional election. God chose us before the world began. He did not chose us based on our works (Eph 1:4, Rom 9:11). In limited atonement (or particular redemption). Christ died for His sheep (believers) only (John 10:11). In irresistible grace (or efficacious grace). God draws the sheep (believers) to Christ (Ezek 36:26-27, John 6:44). This means that God brings his people towards Him to save them. In perseverance (and preservation) of believers. When a person is saved, he cannot lose his salvation. A truly saved believer will live his life in obedience to God (John 10:28-29, 14:15). That the Reformed Faith gives all glory to God. Soli Deo Gloria!